Few pests are more irritating to our furry friends than fleas and ticks. Not only do these insects cause discomfort for our cats and dogs, but they can also cause a wide range of health problems. The best cure for fleas and ticks is prevention. Methods for preventing fleas and ticks include reducing exposure to environments fleas and ticks are known to thrive in, good pet hygiene, and preventative medications or treatments. Fleas are parasites, which means they need a “host” to survive. While there are thousands of types of fleas in the world, each type of flea prefers a different type of host. Some fleas target dogs, some prefer cats, and some fleas look for humans. Unfortunately, even though a flea may target dogs or cats, they can still spread diseases to humans. Also, once fleas or ticks invade your home, they are difficult to eradicate and often require costly and repetitive remedies. And while fleas and ticks are more active in warm climates and the summer months, these pesky insects can be annoying year-round if they find their way indoors. Fleas thrive in warm, humid environments which means your pet’s coat is often a welcome sight. Dogs usually get fleas through contact with another flea-infected dog. Indoor cats are also at risk of becoming infested from another animal because fleas are tremendous jumpers and can easily jump from host to host. A flea’s life cycle can range from 16 days to 21 months depending on various factors like temperature and humidity. On average, female fleas lay 40 to 50 eggs a day which means there is no such thing as a “little” flea infestation. To survive, fleas feed off the blood of the host. While a flea is only one to three millimeters in length, fleas feed twice a day and consume 15 times their body weight in blood. The result can be a life-threatening loss of blood that can cause anemia, particularly for puppies and kittens. Other medical issues include itching, skin damage, allergies and parasites such as tapeworms. Like fleas, ticks are parasites that need a host to survive. Prevention is also the best cure for ticks. 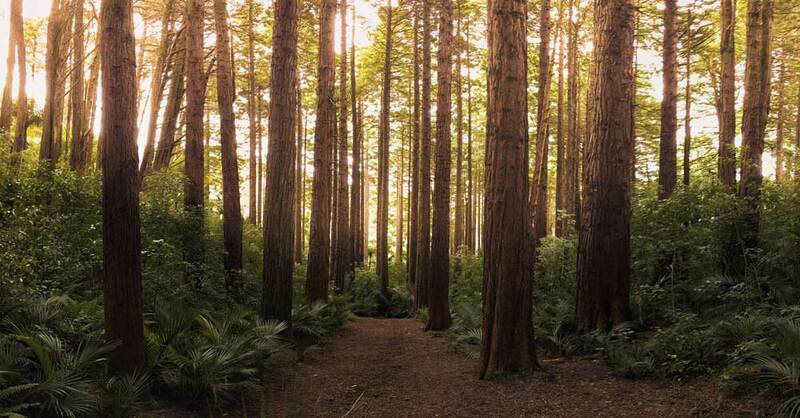 Avoid densely wooded or vegetative areas. 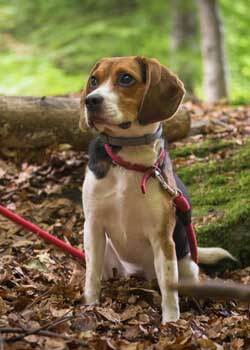 Keep pets from going off trail if possible and be sure to check your dog thoroughly after outings. This can also be a good time to check for other nuisances such as foxtails. Cats should also be checked frequently after spending time outside. 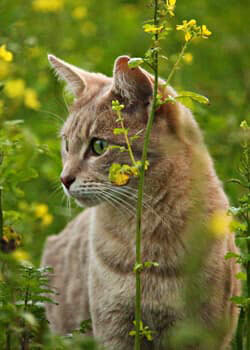 Outdoor cats will be particularly vulnerable to ticks. Although, indoor cats can be bitten if a tick is transported into the home by a dog or human. Pay attention to the inside of ears, between toes, under the tail, the genital region, eyelids and under the collar. Ticks thrive in tall grasses, thick brush, and fallen leaves but can also be found in yards or any outdoor area. As a dog or cat walks by, a tick can sense the warmth from the pet’s body and grabs on to the coat. The tick them starts feeding on the host’s blood and laying eggs. While ticks can cause anemia, the primary concern is tickborne diseases. There are more than a dozen tickborne diseases, which vary by tick species and geographical region. In the U.S., Lyme disease is particularly dangerous for dogs and can cause serious medical problems such as arthritis. Cats are less susceptible to Lyme disease, but can contract other harmful diseases. Since ticks can harm dogs, cats and humans, and can be transferred from one to the other, these diseases can be harmful to multiple members of your family. Be on the look-out for tick bites which will be red and cause irritation of the skin. Consult a medical professional to determine if you or your pet has been bitten by a tick. While cats and dogs will scratch if they have been bitten by a tick or flea, be aware that cats may lick the bitten area excessively. There are also sprays that can be used on bedding, carpet and around the house. Talk to your veterinarian to identify the best products for your pet and home. Regardless of what product you use to prevent or control fleas and ticks, be sure to use products that have been approved for animal use. Two federal agencies oversee flea and tick products. First, the Food and Drug Administration (FDA) regulates all drugs used for animals; and second, the Environmental Protection Agency (EPA) oversees products such as insecticides. Thereby, all flea and tick products will either be approved by the FDA or registered by the EPA. You should always consult with your veterinarian before beginning any type of treatment to ensure proper diagnosis and proper application of safe products. Also, as with any medication, do not use medicine for dogs on cats or cat medication on a dog. Flea and tick preventatives formulated for dogs are toxic to cats! You should also never share medicine with your dog or cat. If your pet is bitten by a tick, it is important to remove the tick as soon as possible to lessen the chance of illness. The proper method for removing a tick requires fine-point tweezers. First, grasp the tick as close to the skin as possible. Next, gently pull the tick out in a slow, steady upward motion. Be sure to remove the entire tick, as any pieces left behind can cause infection. 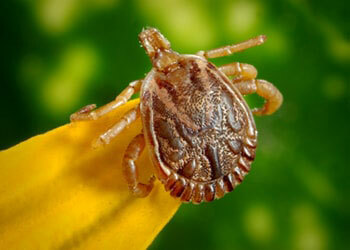 Female ticks will also contain eggs, so dispose of the tick properly. Consult with your veterinarian for the proper method to safely remove ticks or schedule an appointment to have them removed. So next time you are out adventuring with your furry family members, don’t get “ticked” off. With a little prevention, the right treatments, and a sharp eye fleas and ticks won’t stand a chance when it comes to your fur baby. Pet insurance can also help keep your pup or kitty flea and tick free with optional routine care coverage. Plan options like this pay up to a certain amount annually to help reduce the overall amount of planned treatments like flea and tick preventatives.